Mars: Over 100 NASA Scientists Quit Or Retire Early Over ‘Security Obsession’ With Mars Rover – What Are ‘They’ So ‘Obsessed’ About? Now, who would blame the many scientists and engineers at JPL who took this as an extreme invasion of their privacy? To get their clearance, TPTB were going to contact their neighbors and old colleagues to be interrogated about their drug-use, drinking habits, arrest records as kids, all the countless things that are looked into when doing a high-security background check. Why would NASA scientists be subject to the same prying invasion of their privacy that they would get if they were applying for jobs in the CIA or the Secret Service? “Everyone who wanted to continue doing space science at JPL was told they had to submit to a security investigation. 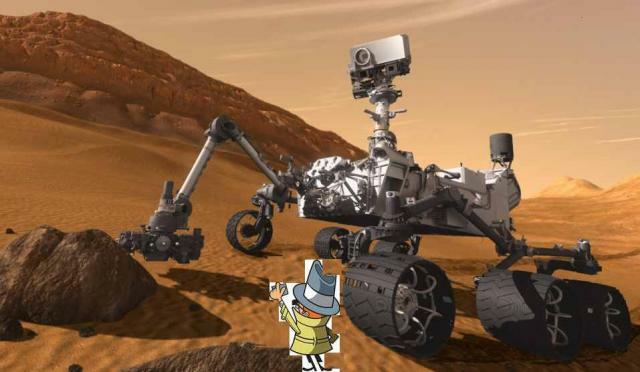 What in the world are NASA and the Department of Homeland Security HIDING up on Mars? Every day lately, we are learning more and more via NASA’s own photos, something BIG is going on up there! The security obsession being displayed by NASA and the DHS is just more proof that something HUGE is up. Americans deserve answers! Once again we are playing the whipping boy for a government out of control that does not have our best interests in mind. We pay their salaries, why shouldn’t we DEMAND answers from them or withhold their funding? These out of control, zealous wacko’s need to be broken! Not everyone who quit over this issue was a scientist. Susan Foster, a senior science writer at JPL, began her career there working as a secretary in 1968, even before the first Apollo moon landing. She says she quit solely because of the NASA requirement that she submit to a “waiving of my Fourth Amendment rights or be denied access to the facility” where she had worked for 44 years. She is currently unemployed and looking for work.